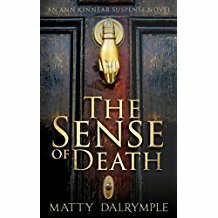 Readers often ask me where I get the titles for my books and short stories, which include the Ann Kinnear Suspense Novels The Sense of Death and The Sense of Reckoning and the Ann Kinnear Suspense Shorts Close These Eyes and May Violets Spring. 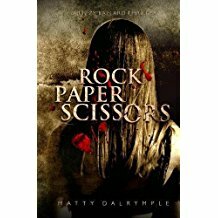 (I have also authored the Lizzy Ballard Thrillers Rock Paper Scissors and, coming in June 2018, Snakes and Ladders.) 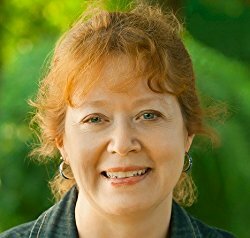 In this post, I share the backstory of how my Ann Kinnear works found their titles. Ann Kinnear is a woman who is able to sense spirits, and who has a consulting business based on this ability. When I was finishing the first novel, I turned my mind to possible titles. I wanted the title to represent the centrality of death to the plots, as well as to reflect Ann’s sensing ability. I was pleasantly surprised to find that there were no other books on Amazon with the title The Sense of Death, but my Google search reminded me that I was not the first person to think of that phrase—Shakespeare had beaten me to the punch in Measure for Measure. I was so excited when I read this passage because it encapsulated many ideas I touched upon in the book—the apprehension of death, the suffering we anticipate will accompany death (but which might be no more than the instantaneous demise of the squashed beetle). O God of battles, steel my soldiers’ hearts. Perfect! The second Ann Kinnear book was all about how Ann overcomes the fear resulting from the experiences related in the first book. “Say that the sense of feeling were bereft me, and that I could not see, nor hear, nor touch, and nothing but the very smell were left me, yet would my love to thee be still as much” from Venus and Adonis (I’ll have to file that away in case I switch to Romance). From that I pulled the story title, Close These Eyes. When I completed my second Suspense Short, I started my search again. This was a completely non-traditional Easter story—not appropriate for those who object to violations of the Third Commandment—that was about faithfulness and forgiveness. Despite vigorous Googling, I found that these were much rarer topics for The Bard to address than death and revenge. A search for “Shakespeare quotes about faithfulness” usually brought back, “Women may fall when there’s no strength in men” from Romeo and Juliet, which wasn’t right for my story, and the quotes I found related to forgiveness dealt with much darker topics than I wanted to conjure up for my fairly light-hearted story. And so my second Ann Kinnear Suspense Short became May Violets Spring. Title problem solved. I suppose that considering the theme of death throughout my books, I shouldn’t have been surprised that my final challenge was convincing my book cover designer that the title was not May Violence Spring. Good news: LIZZY BALLARD BOOK 1, ROCK PAPER SCISSORS has been named a Notable Indie of 2018 by Shelf Unbound Magazine. Book 2, SNAKES AND LADDERS will be launched in June of this year. … and all major online book retailers. Thanks, Matty, for sharing your process for naming your books. Good luck! Thanks for stopping by, Tony. I laughed when I read your comment about Jeopardy. I confess I didn’t get that one – one of those times when it took too long to dredge the answer from among all the garbage in my brain. Fascinating back story to finding inspiration from to Bard. The AK series is a capitvating read. It is a great story, isn’t it? I loved the books, but had no idea how Matty came up with her titles. Thanks for adding your bit.